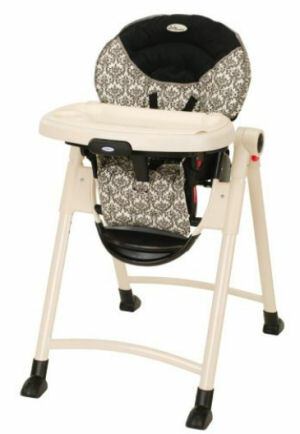 On this page you will learn where to get the best prices on all of the highly rated Graco Contempo 3a00 high chair models including the Rittenhouse, Deco and Birkshire as well as what to do about getting a high chair cover and replacement cushions when and if you find yourself in need of them. Why is the Graco Contempo High Chair so highly rated? New parents living in today's modern homes and apartments often don't have the luxury of large family dining rooms or eat-in kitchens and since the Contempo 3a00 and other models are very compact when folded and easy to store, they are very popular. The specs of the Graco Contempo give its size or dimensions at 32 x 23 x 42 inches and a weight of 20 pounds. With a weight of only 20 pounds the Contempo is one of the most convenient, lightweight baby high chairs for sale in today's market. 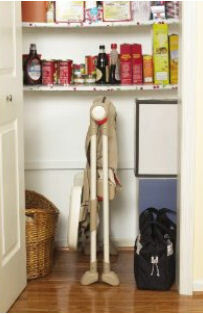 Folding the high chair and popping into a nearby closet or in the area next to the refridgerator frees up a lot of square footage in an area of the home where floor space is at a premium. The one hand seat recline alone has pushed this highchair into the Top 10 of the best rated high chairs,. 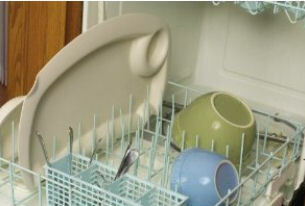 Other popular features include multi-seat heights, the easy to clean seat cushion and the dishwasher safe tray insert is a real timesaver. And while we're on the subject of saving time; it shouldn't go unmentioned that the Graco Contempo comes fully assembled. There are no parts diagrams and assembly instructions to bother with or screwdrivers and tools to gather; just pull the chair out of the box and that's it! All of the Contempo's colors and fabrics complement popular nursery themes, crib sets and baby accessories as well as colors seen in modern kitchens. One of the unexpected bonuses that come with this Graco is an extra replacement seat cover! I don't know of many high end baby high chairs that come with replacement covers, much less one that costs less than $100! Where can I find the Best Prices on the Graco Contempo High Chair? It's possible that you could find the Graco Contempo 3a00 on sale at your local baby discount store, but I find it so much easier to make both feature and price comparisons online and if you can find a deal on free shipping, so much the better! If you would like to add your rating or write a Graco Contempo high chair review, please use the form on this page to share your thoughts. 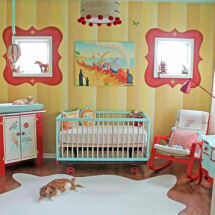 Please make plans to visit us again soon to see the latest Graco high chairs and baby nursery ideas.